Our Charity (UK Registered 1165562) was established in February 2016 after a bunch of passionate parents wanted to make a difference to the way support was available to other families of children living with Congenital Hyperinsulinism. 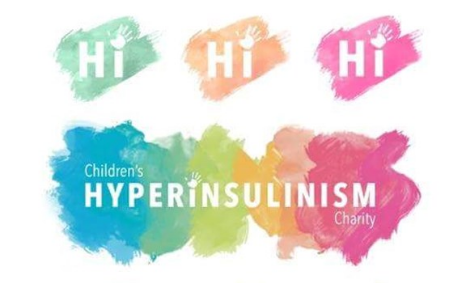 Congenital Hyperinsulinism is a rare condition affecting approximately 40-50,000 births in the UK alone, whereby the pancreas over produces the hormone insulin. This in turn causes hypoglycaemia (low blood sugars), and without quick and accurate medical intervention, children are at a high risk of brain damage, coma and even death. We work with world-class medical professionals here in the UK to understand more about the condition, its neurological and psychological impact, as well as learning about the latest medical interventions, research, dietetics and more. First and foremost our families are at the forefront of our minds. We operate by listening to them, asking questions, and understanding what it means to them to have support and how we can make a difference and one way we are helping is to offer Teacher Training Days. Our support group has been running for 9 years and has grown in members nationally and internationally, but because living with a rare condition can prove isolating, we give families a chance to come together, learn from the medical experts, socialise and to give their children a wonderful chance to form life-long friendships. There is no greater gift than being around others that understand, sharing the same experiences and in turn giving each other support. We aim to continue our work in supporting families, working closely with medical professionals and funding research as well as raising much needed awareness.